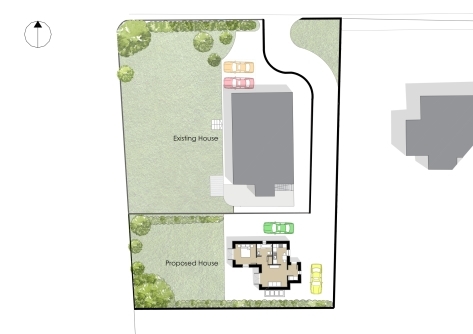 This new proposed house in Killearn sits on an extremely small site within the grounds of a larger house. Our client wants to downsize and stay in the same village, so this option made sense to explore. Clever use of space in a project like this is critical. Planning departments are not always willing to grant permission for projects within the existing grounds of other houses, so it took all our skills to make the design work to gain that vital permission. We’re thrilled it has succeeded. Purpose-building when you need to downsize is an increasingly popular option. Have a look at our downsizing blog, and also a useful article on how to gain planning permission.